「NBC BEAUTY SHOP」- Liquid Pump ★ Remover Dispenser | Nail Polish Bottle | Hello Kitty Suction Spray. As shown in the picture , item is not brand new .. there is a stain when I remove out from the packaging. .
Good product. Received in 7 days by normal mail. Repeat buyer. Love the items. Polish Removal Pen - not sure how useful this item is. maybe cotton bud does the same job. Items as expected, and seller has packed them really neatly in a box! Everything works well, thank you! I have selected multiple items from NBC Beauty (total amt of $63) but apparently when I check out, the shipping fees are not combined but being charged under 3 categories, namely Seche, OPI & NBC Beauty. How can I combine and enjoy free shipping? 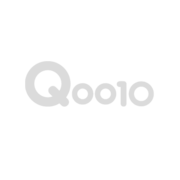 Hi, as the items belongs to different shipping categories, Qoo10 doesnt add them up together. Please simply leave a memo for a shipping refund. refund can be done by bank transfer to your bank account. Hello! Can I just check if the Sunshine Standard Nail File in the pictures is the same as the "Long Nail File (3pc)" option? Hi,as our standard nail file comes from differen suppliers, the nail file may not carry sunshine brand but all are in standard shape and size. Dear Angel, thank you for contacting us. Yes, the stock just arrived yesterday. you can collect it now anytime in between our operation hours from 11am-8pm. ^^ Apologise for the long wait and thank you for your support. Hi, sorry for the late reply. Temporarily, our liquid pumps are completely sold out. Item will be restocked in about 1 week. We will have more types liquid pump coming in. You may visit our shop at holland village to check it out after stock arrives. ^^ Our shop address: 211 Holland Avenue, #02-21 Holland Road Shopping Centre, Singapore 278967. Hi! I'm just wondering is it okay to test the bottle out at your store first if i order here? :) Or what if i use mailing, and the bottle has defects, is it possible for exchanging? May i know if your liquid pump comes with the lock feature? prone to leakage? am unable to see from ur picture. Dear customer, thank you for contacting us. You may mail back the item to us at 242G Pasir Panjang Road, #05-09 The Maylea, S117492. We will issue out a replacement once received. Alternatively, you may visit our retail store at 211 Holland Avenue, #02-21 Holland Road Shopping Center, S278967 for exchange too. Hope this may help. Thank you.